Just a quick post to share another St. Patrick's Day card that I made recently. The stamps are all from Flourishes' Irish Blessing set. The St. Patrick's Day embossing folder and Green Stripes washi tape are from DeNami Design. I'm entering this card in the current Flourishes Timeless Tuesday Challenge: It's a Wash, to use washi tape. Love to see you use washi. This is a pretty card and a uplifting verse. This card has me smiling this morning. Love the quote on this! 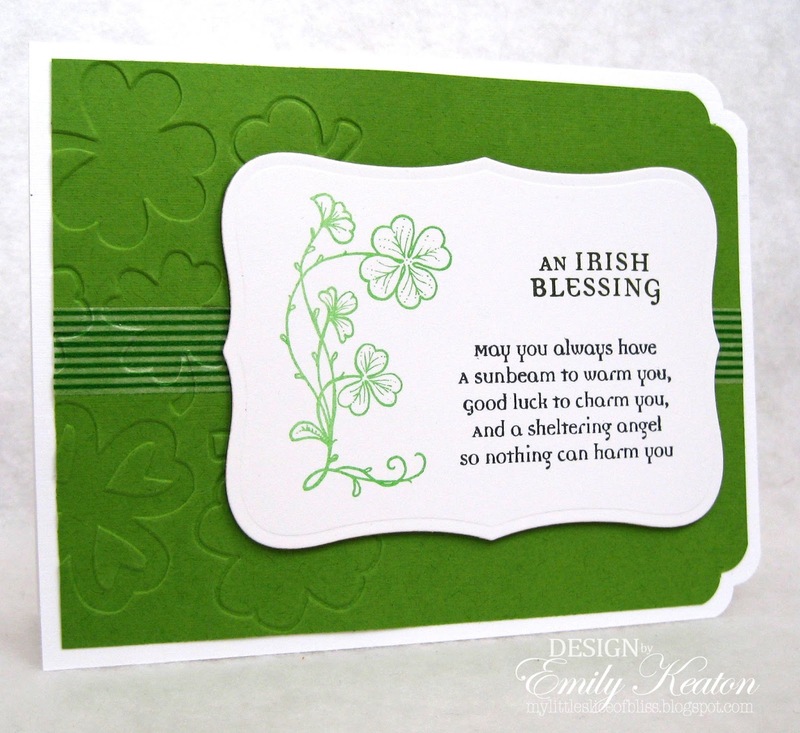 A very beautiful St. Pat's card! What a sweet sentiment...love it! Very pretty! Sigh. Sure wish I'd had the forethought to buy this set before Flourishes went kerplunk! Pretty card Emily and a wonderful sentiment!